The superintendent of the Lynwood Unified School District in Los Angeles County is slated to take over as San Diego County Superintendent of Schools, effective June 1. 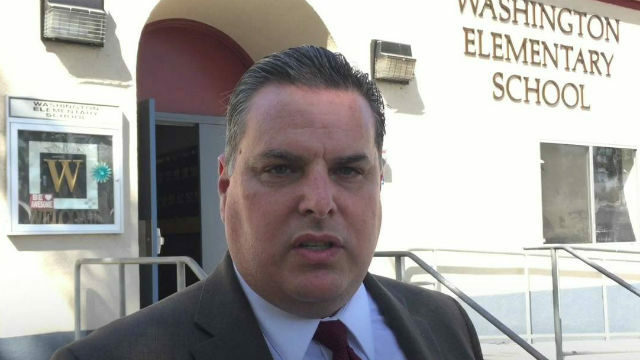 Paul Gothold will replace Edward Velasquez, who has served as interim superintendent since August, according to the San Diego County Office of Education. The previous superintendent, Randy Ward, retired in November after months on administrative leave pending an investigation into allegations that he had awarded himself undue compensation. The superintendent of schools supervises financial oversight and curricular and professional development for the SDCOE’s 42 school districts, which includes schools for incarcerated youngsters, foster kids and homeless children. Gothold served as Lynwood Unified’s superintendent since 2013 and his work with its parents and staffers resulted in dramatic increases in student achievement, according to the SDCOE. Graduation rates at Lynwood’s high schools increased by more than 23 percent during his tenure. Lynwood was also one of three in the country and the only one in California to be selected as a 2017 AP District of the Year, which recognizes those raising the number of students taking Advanced Placement classes and improving passing rates on AP exams. “I am honored and thankful for the San Diego County Board of Education’s faith in me to serve the schools, educators, and students of San Diego County,” Gothold said.